Starbucks Store has a hot new promotion! 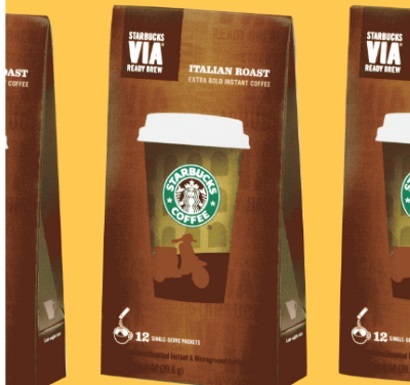 Get an additional Starbucks VIA Instant product with the purchase of two select VIA products! Offer valid online March 6, 2017 only. Limited to stock on hand. Online only. Also sign up for their newsletter and get a coupon for 10% off your next order (sign up is a popup on the bottom right corner at this link). Click here to browse Starbucks Store Canada.